Home News Can we end paralysis? Corinne Jeanmaire, of the endParalysis foundation, says a cure for spinal cord injury is possible, but it will take time, resources and a smart way of thinking. 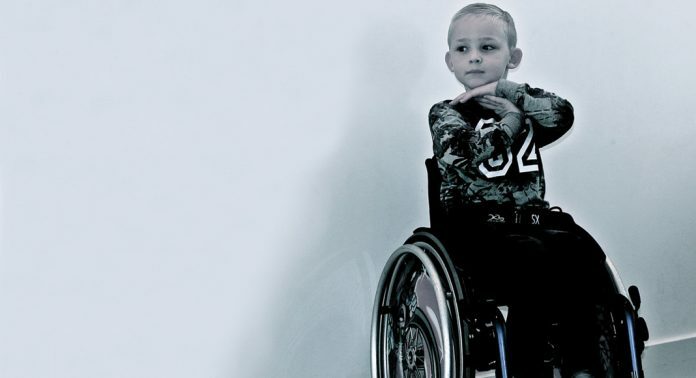 The endParalysis foundation is a small organisation with a big dream – to help find a cure for spinal cord injury (SCI). Patient-driven and goal-oriented, the Netherlands-based charity is committed to supporting high-impact, collaborative research projects that bridge the gap between lab and clinic and offer millions of patients worldwide a future without paralysis after an SCI. Corinne Jeanmaire launched the endParalysis foundation in June 2014, 13 years after a car accident left her paralysed from the waist down. Here, she tells Health Europa Quarterly why, despite the hurdles, she’s optimistic that a cure will one day be found, and why it’s vital that policymakers start paying more attention to SCI research. The endParalysis foundation aims to accelerate research towards curing chronic1 spinal cord injury – how confident are you that a cure can ultimately be found, and what has held back progress in this area? People living with spinal cord injury have long been promised a cure. Obviously, we are not there yet, and we should refrain from promising anything, especially in terms of timeline. However, I am convinced that the young generation will get a chance at a significant functional recovery level. Not only have scientists made good progress in understanding and trying to reverse SCI, but we also are in an era offering tremendous breakthroughs in the fields of technology and biotechnology alike. SCI will be reversed. We ‘just’ need to give it the attention, the resources and the smart approach it deserves. The current legislative environment that does not always allow the testing of promising therapies or combination thereof in a safe but swift way. What are the most promising therapies and approaches being explored by the SCI community at present? Electric (epidural) stimulation of the central nervous system nerves to ‘wake up’ dormant nerves and reflex pathways and possibly to reactivate connections. More information about promising therapies is available under the research section on our website. Why does the endParalysis foundation focus on chronic as opposed to acute SCI research? There has traditionally been a larger focus on acute SCI, for various not illogical reasons. At acute stage, the lesion is still ‘fresh’ and secondary damages to the cord might still be prevented. Hence strategies aimed at protecting the nerves from further degradation are still applicable. Conversely, neuroprotection is no longer relevant in chronic settings, and an additional issue appears that needs to be solved: the scar tissue hampering nerve regrowth. Last but not least, another, more material but quite paramount reason tends to make scientists prefer acute settings for carrying out preclinical trials: acute animal trials are quicker and thus cheaper. However, let’s leave the lab and consider human patients. Almost three million people live with a chronic spinal cord injury worldwide, compared to just thousands who temporarily experience an acute SCI. If you were a company willing to invest in a treatment, which market would you initially be attracted by? Besides, is there really a better chance to find and translate a therapy for acute spinal cord injury? This is far from certain. Bringing a therapy for acute SCI to the market has proven to be much more complex than it seems, mainly because implementing human trials is more difficult at acute than at chronic stage. Spontaneous recovery can indeed take place at an early (acute or sub-acute) stage of the lesion, which means that a larger number of patients are needed to establish whether a therapy is really effective. Patient recruitment at acute stage is also more difficult for patients are often medically or mentally too unstable to participate in a trial. In addition, ethics and safety might also be questionable in this case. Why does the endParalysis foundation focus on biological repair as opposed to external compensatory therapies and devices? Without ignoring the advances made in this field, we do not wish to fund or focus on external therapies and devices. Devices like exoskeletons are interesting in terms of physiotherapy and body maintenance. They obtain tremendous attention and funding (mostly in view of industrial and military application, with spinoff in the medical area), and there is no doubt that their performance is going to improve greatly over the coming years. As sophisticated as they might though become, they are not likely to give us back the full array of functions and (especially) sensations that make us human. The consequences of SCI range far beyond not being able to stand up and walk. Think of all body sensations – think of bowel and bladder as well as sexual control and other autonomic functions. These technologies will undoubtedly help improve the quality of life of people with disabilities. The endParalysis foundation is, on the other hand, determined to solely focus on approaches that are likely to one day allow patients to (gradually) recover both functions and sensations. A smart repair strategy might, in the future, combine biological and technological approaches. Will electronics ever be able to replace biology? We have to remain open to various strategies and think outside of the box. However, we must stick to our goal: what we are aiming for is the full human biological experience, and we should not settle for a few compensatory makeshift functions, as technologically amazing as they might look. How far is SCI research given the attention it deserves by the healthcare community, policymakers and funding bodies alike? Spinal cord injury is a relatively small and challenging market for any company who’d like to invest in medical research. As a consequence, that research is largely underfunded and understaffed. What’s more, the public funding granted to the area is low and tends to decrease. Should governments and policymakers become more aware of the dramatic consequences and the huge economic cost of SCI to society, they would undoubtedly increase support and funding to find a cure. The latest European recommendation in that field dates back to 2002 and mentions that ‘In the United States, the aggregate costs of spinal cord injury have been estimated at US$9.73 billion [~€7.93bn] per year, and the lifetime costs for an individual with tetraplegia at one million dollars. These figures … are certainly higher in the wider Europe’.3 Costs have kept increasing since then, but that recommendation still needs to be translated into action. Another enabler to curing SCI is legislative in nature. Accelerating the path to a cure would require a faster process on the part of the European Medicines Agency and Food and Drug Administration toward validating a request for clinical trials as well as the possibility to test combination therapies more quickly, obviously without compromising the safeguarding of safety levels. On the positive side, attention and funding from the industry (big pharma, biotech start-ups) seem to be growing, with a higher number of (ongoing or planned) clinical trials financed by private companies. How is the endParalysis foundation working to help translate SCI research into human studies, and what challenges are involved here? The endParalysis foundation is young and small but is committed to contributing to a cure for chronic spinal cord injury. On the one hand, we co-finance a few carefully selected research projects (only clinically relevant research applying to chronic patients, mainly aiming at functional repair). We are most likely to select and support projects at the preclinical stage as big pharma or other funding bodies are often not ready to invest at that stage. In that way, patients’ organisations can still have an impact and prevent a promising therapy from lagging in a lab and help it make its way to the clinics. On the other hand, we are working with our partners towards influencing the priority settings and optimising the research approach for better and quicker results. We insist on more focus being given to finding therapies for chronic spinal cord injuries that are extremely stable and make human testing easier and more reliable while offering an obviously much bigger market to potential investors. Alongside that, we advocate for more integrative, collaborative and goal-driven research. We cannot ignore that researchers’ targets and priorities are not always 100% in line with our communities’ objectives. Each party has its own ecosystem and constrains. The patients, living with the heavy consequences of SCI, do not always understand the complexity of this condition nor the barriers to finding a cure and expect a solution within a few years. The researchers, on the other hand, naturally focus on their own field of expertise and need to manage their labs’ constraints (including competition with other labs, financial difficulties due to often decreasing public funding, and the necessity to publish their work). Who has the big picture and acts on it? SCI becomes ‘chronic’ a few days/weeks after the lesion occurs. Plasticity is the ability to generate new connections between neurons and use these to establish an alternative pathway to convey messages across the lesion site.